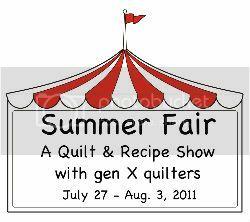 Sew Inspired: Summer Fair Quilt Show! I finished up the binding on this quilt the other day, and this morning I saw a post about the Summer Fair Quilt Show, hosted by Gen X Quilts, so I decided to join in the show! I made this quilt top last year, I think in March, just for fun. Did the quilting over a few days during the last couple weeks, and finished it yesterday. It's 36" x 48", and it's just going to hang around at our house for now. Go visit the fair, and see all the cool quilts! There are recipes, too! I've been working on some more Farmer's Wife quiltalong blocks, and blocks for my doll quilt swap too. I guess I'll do a quilt block post soon here. It has been super hot here for days, no, weeks. (I don't watch the weather, but other people in this house do, and they are saying we've had something like over 30 days with a heat index over 100 so far this summer). My 11 year old just got out his 5th grade solar cooker and I think he's making hot dogs for dinner tonight. Vintage sheets? Love it! I need to use mine and I really like your pattern. I also like that you have a lot of quilting, it looks wonderful. 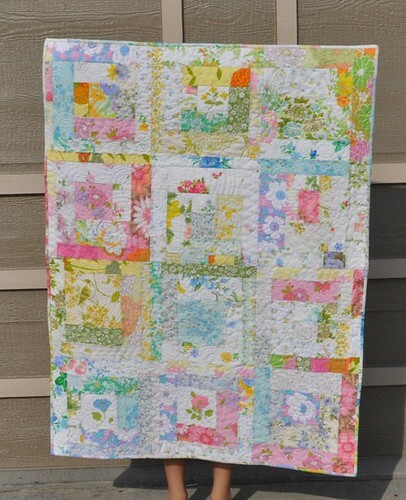 I Love vintage sheets and I love what you have done with this quilt! Good stuff! 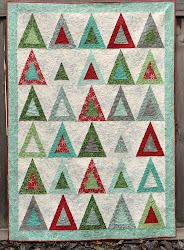 This is a really pretty quilt! LOVE X 1,000,000,000!!!! I just LOVE vintage sheets, and pillowcases! Pretty sheets! Such a happy quilt. Very pretty. Looks like a great quilt to snuggle under. THIS IS THE PRETTIEST ENTRY! What a beautiful quilt! Are those vintage sheets? It's just lovely and cool and summery. Such a pretty quilt. You did a beautiful job with the quilting! And I love that your 11 year-old is making dinner!